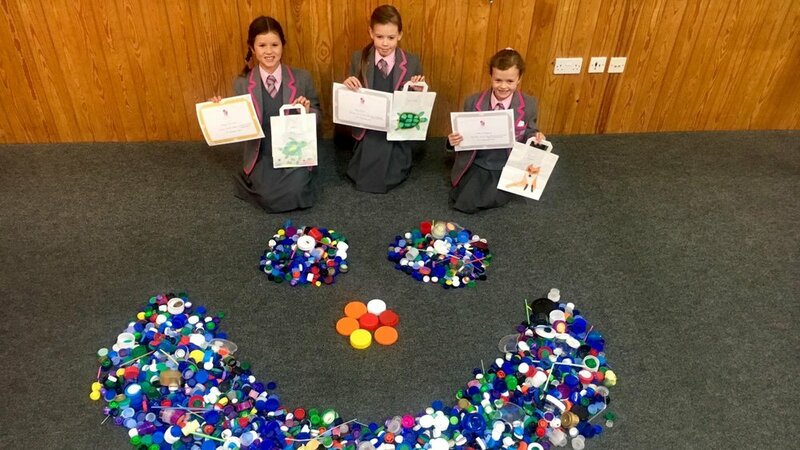 St Michael’s recently completed their bottle top and plastic straw collection with great success. With a small amount of assistance they created a smiley face out of their entire recycled material. A great effort, that will go along way with helping to create our massive turtle sculpture!